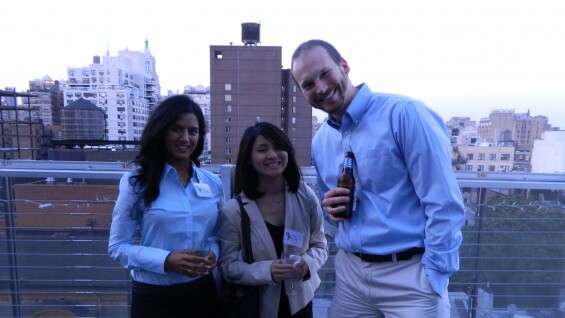 On Thursday, September 13, 2012 the Financial Services Affinity Group hosted a happy hour to kick off the fall semester at Cooper Union. 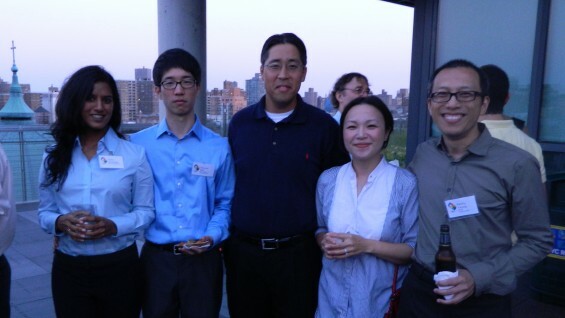 Over 60 alumni and students gathered on the Alumni Roof Terrace to catch up with old friends, make new connections and enjoy breathtaking views of the New York City skyline. 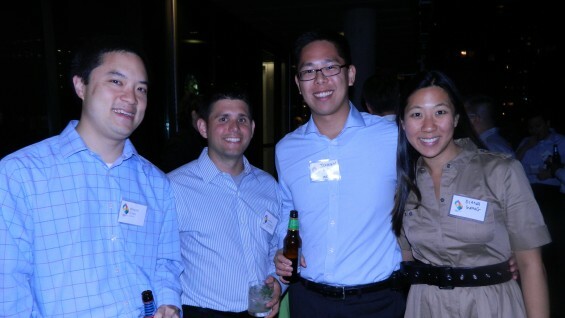 The event was especially valuable for students and young alumni interested in pursuing careers in finance. “These events are a great opportunity to learn from alumni with experience,” said one young alumna, who is interested in finding a job in the finance industry. 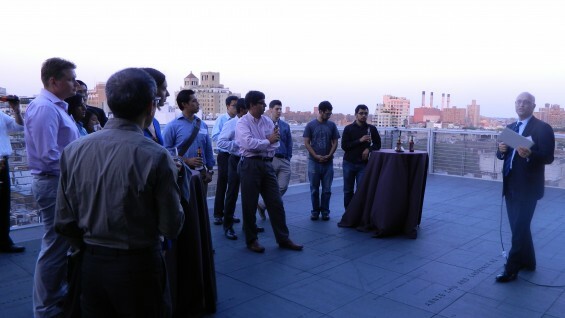 During the happy hour, she had conversations with several alums working in this field. 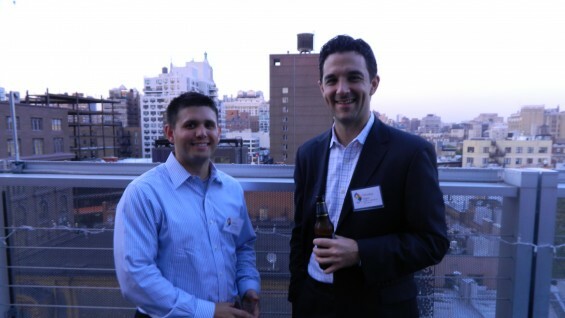 The happy hour was organized by Financial Services Affinity Group co-chairs Ray Falci (ME ’86) and Eric Hirschhorn (ME ’89). Rohan Chauhan (IE ’09, MCE ’10), Jeff Hersch (EE ’87), Tim Isgro (ChE ’01, MChE ’03), Malcolm King (EE ’97), Barkha Kumar (IE ’10), Ming Lai (EE ’95), Darrell Low (EE ’89), Anastasia Rudman (BSE ’04), Kenny Yeung (EE ’94) and Jack Zar (EE ’90, MEE ’94) served on the host committee. We are especially grateful for the generosity of Ray Falci, Eric Hirschhorn, Malcolm King, Ming Lai, Darrell Low, Kenny Yeung and Jack Zar, who made donations to underwrite the cost of the refreshments. The Financial Services Affinity Group organizes professional development programs for Cooper students and alumni. The group also develops fundraising strategies that help to ensure Cooper’s strength and stability. 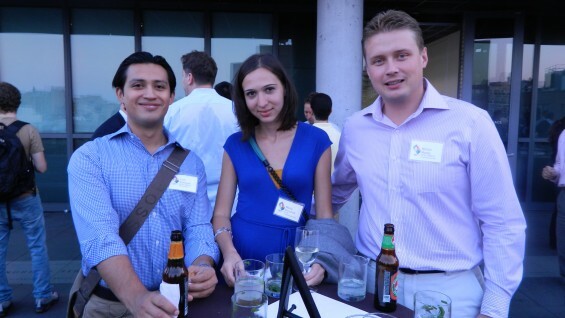 Last year the group raised nearly $300,000 for the Annual Fund, almost 10% of Fund’s overall total ($3.1MM). To learn how you can get involved, contact Brooke Bryant at (212) 353-4171 or bbryant@cooper.edu.